While I certainly didn’t go backpacking in Iraq to get drunk, it was pleasing that I was able to relax and enjoy some ice cold beers in some really really good bars while touring the northern part of the country, Kurdistan. 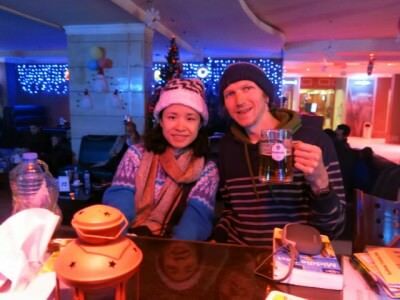 All bars are safe to drink in, all friendly and they serve alcohol – it was all part of my recent travel adventures. I just had to take Thirsty Thursdays to Iraq didn’t I? 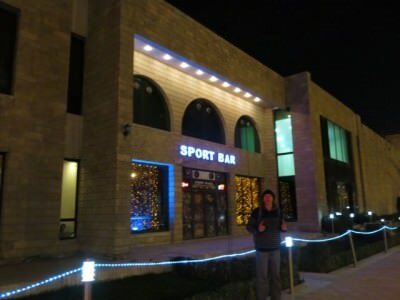 Here are my top 4 bars in Kurdistan, Iraq! Prost! Slainte! Thirsty Thursdays: My Top 4 Bars in Kurdistan, Iraq. Outside Sport Bar Football in Sulaymaniyeh, Kurdistan, Iraq. This was such a highlight from backpacking in Iraqi Kurdistan. On a Sunday night, an FA Cup day I headed along the main street, Salim Street in Sulaymaniyeh to watch the football and have a beer. Yes it was British FA Cup Day. 10 years ago to the day I had watched the FA Cup in a bar in Bournemouth, England. Now here I was in Iraq. 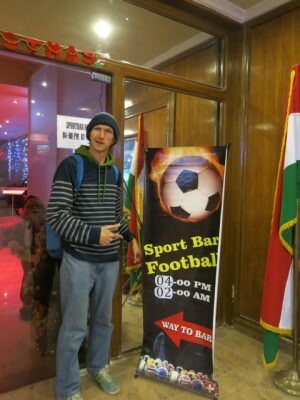 The Sport Bar Football is situated on the ground floor of the Sulaymaniyeh Palace Hotel. Thirsty Thursdays in the “Sport Bar Football” in Sulaymaniyeh, Kurdistan, Iraq. We watched Barcelona v. Elche. Messi was injured, but Barcelona were still way too strong, cruising to a 4-0 win and even affording to miss a penalty. My first draft beer in Iraq was in Sport Bar Football in Sulaymaniyeh! The bar was busy enough, we sat at the bar. 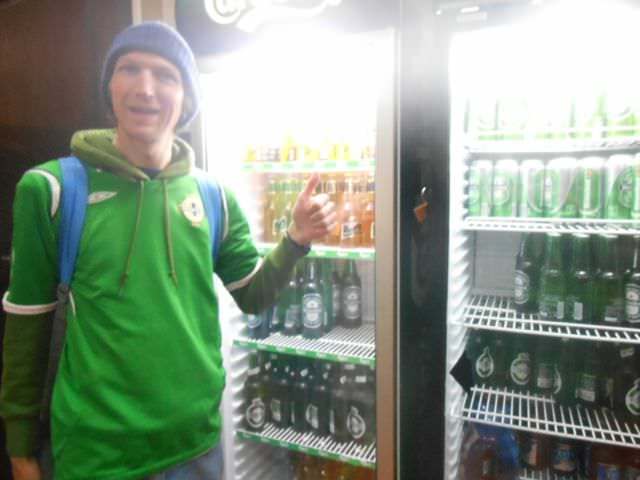 The cheapest beer in there was 4,500 Iraqi Dinars. This works out around $4 US Dollars so not too bad. It was a 500 ml glass of Krombacher. This was my first and only time to drink draft beer in Iraq. 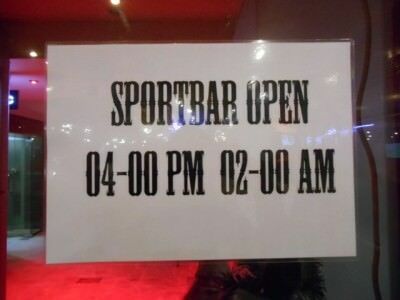 The Sport Bar Football is open from 4pm until 2am. Yes – the real name of the bar on all signs is definitely “Sport Bar Football”. The Deutscher Hof in Ainkawa is a German Bar. It’s the first German bar in the country of Iraq and was opened by a German Soldier. 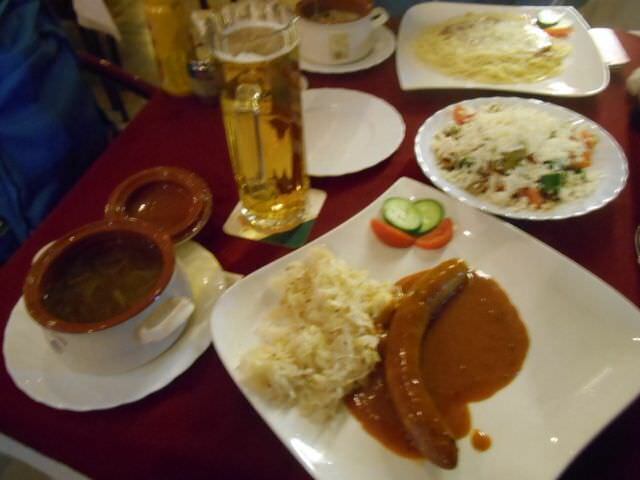 Awesome German Bratwurst and Lager, plus soup and salad in the Deutscher Hof in Ainkawa, Kurdistan, Iraq. We decided to head to Ainkawa, which is like an extension of Erbil, but also kind of a separate town (think Parramatta to Sydney or Dundonald to Belfast). After checking out the Churches and the line of off licences, we headed to the German Bar. It can be hard to find on a side street, so ask the locals. It wasn’t busy when we went. It’s called Deutscher Hof. 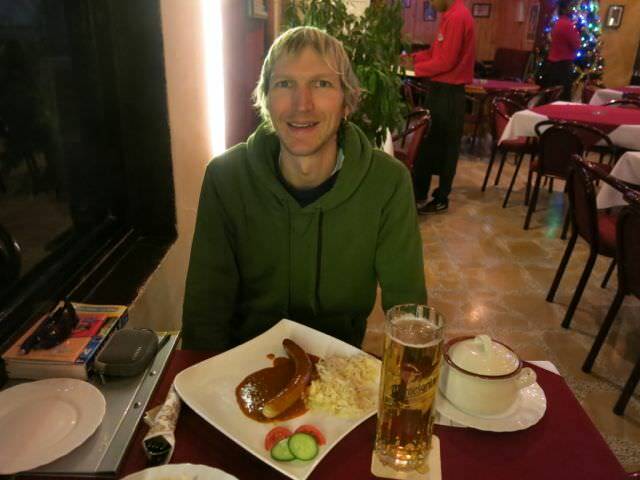 Loving my Bratwurst and pint of German Lager in the Deutscher Hof in Ainkawa, Kurdistan, Iraq. We had a bit of a feast in there, including Bratwurst and a starter each. I loved the German Beer! I drank Bitburger bottles. Prost! Beer from Germany in Iraq. Love it! 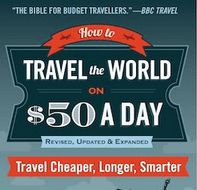 One thing though – it’s not cheap!! The cheapest beer was 7,150 Iraqi Dinars, and they add on a 10% service charge making it one of the dearest bars in Kurdistan, so look out for that! 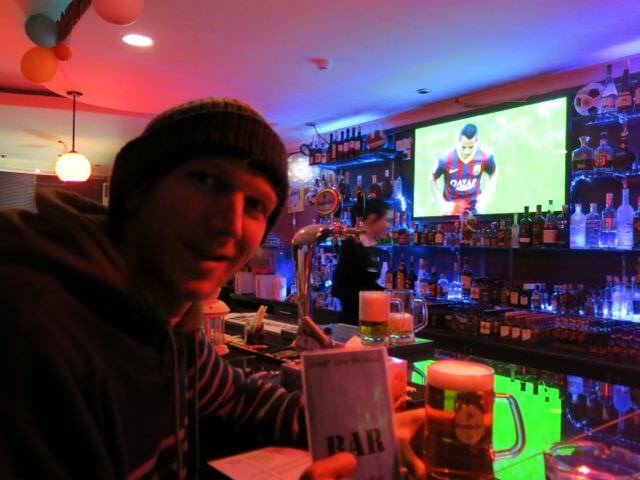 But worth it as a one off memory – you’re in a German bar in Iraq! 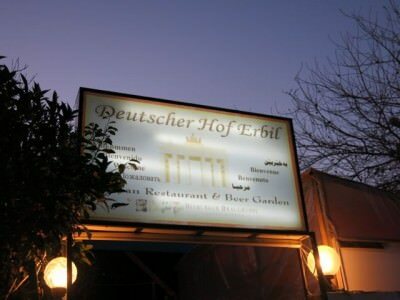 Deutscher Hof Erbil – the excellent German bar in Ainkawa, Kurdistan, Iraq. 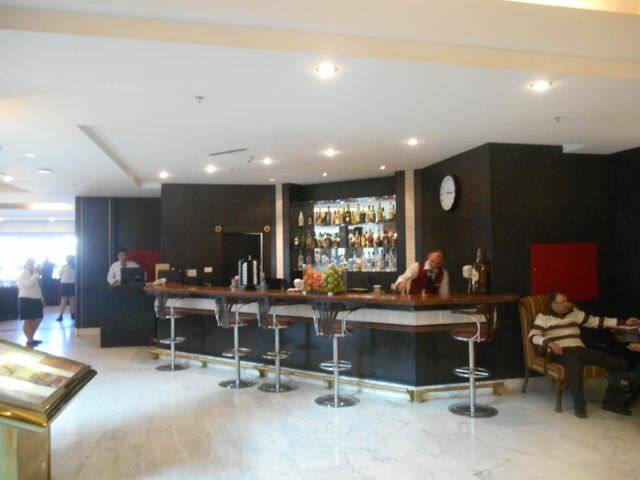 Address – Ground Floor, Erbil International Hotel, 30 Meter Street and Salahaddin Street, Erbil, Kurdistan, Iraq. Thirsty Thursdays: Best Bars in Iraq – the downstairs bar at the International Hotel in Erbil. This is a posh 5 star hotel. I didn’t stay there – of course I wouldn’t. But one day I ventured in just to have a beer and have a look around. There are supposed to be a whopping 6 bars inside. Currently though, the 9th floor nightclub, Shehrazad is actually closed so it should be 5 bars. As the nightclub was closed I did the downstairs, ground floor bar instead. 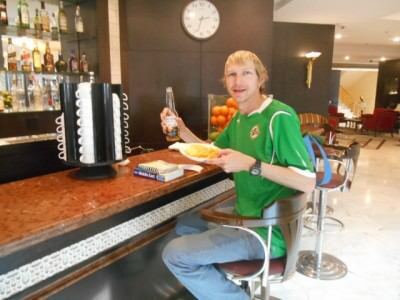 Loving wearing my Northern Ireland shirt and having a beer in the posh bar at the International Hotel in Erbil, Kurdistan, Iraq. I went simple and drank at the bar, on my own, the only backpacker in there and on the ground floor. It’s an elaborate hotel and the bar is straight through the front entrance on the left. There are stringent security checks on the way in so be ready for them. Once inside they have clean decor, free wi-fi and beer. Corona and crisps plus a bit of travel planning in the International Hotel Bar in Erbil, Iraq. 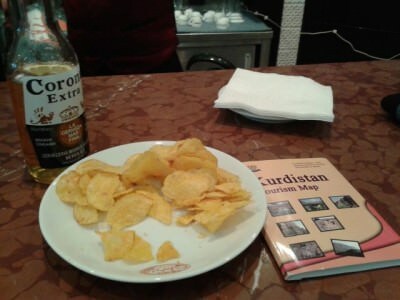 I went for a bottle of Corona which was 6,000 Iraqi Dinars. They added on a 10% service charge. For the sake of it, this was worth the money and I enjoyed the free Wi-Fi which was fast! 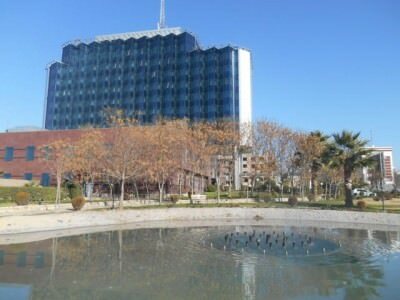 The posh 5 star International Hotel in Erbil, Kurdistan, Iraq. Worth a trip for the bar and free Wi-Fi! I’m not sure how “secret” this place really is, as Iraqi Kurdistan is not actually strict with their licences. 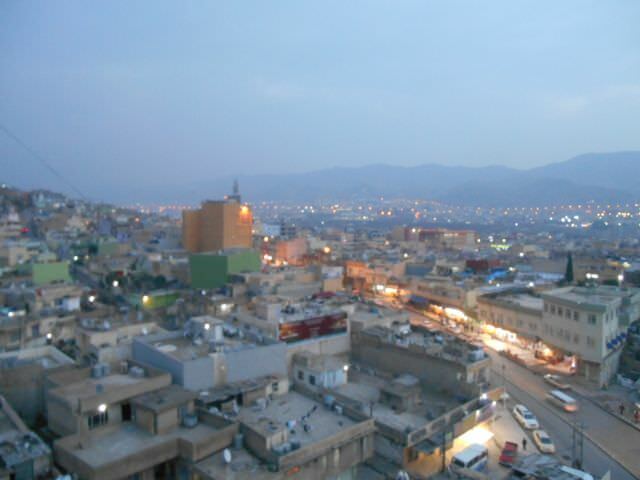 Especially not in the dreamy, optimistic town of Duhok which sits not too far from the Turkish Border. But it seemed like I had to keep quiet. Thirsty Thursdays in Iraq! Lights off in the “Secret 8th Floor Bar” in the Rasan Hotel in Duhok, Kurdistan! Duhok has a few bars in fact, but this random adventure led me to a well priced almost secret bar with a fantastic view of the city! 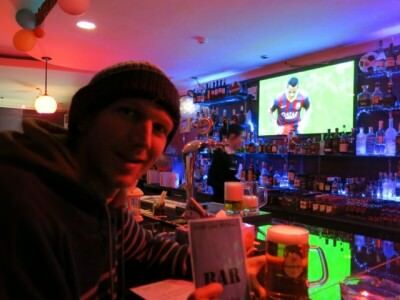 In fact on this list of top 4 bars in Kurdistan, this one is easily the cheapest and therefore the “backpacker choice”. Decent view from the 8th floor bar in the Rasan Hotel, Duhok, Iraq. 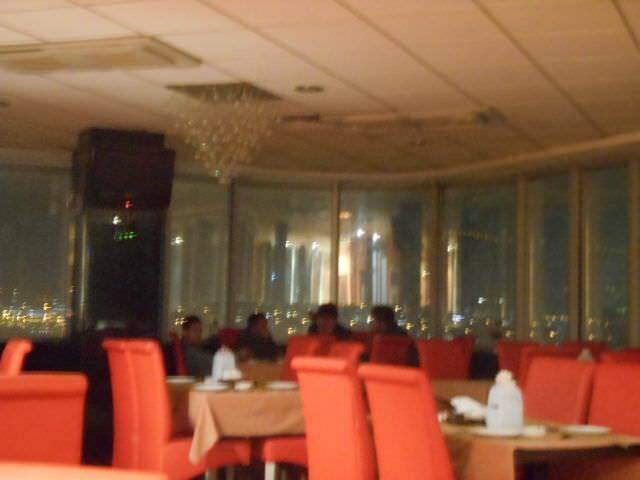 The reception staff let me head up to the 8th floor where the lights were out, Kurds and Iraqis were drinking and I ordered a Corona while admiring the night time views of the city. The fridge full of booze out the back on the 8th Floor of the Rasan Hotel in Duhok, Kurdistan, Iraq. 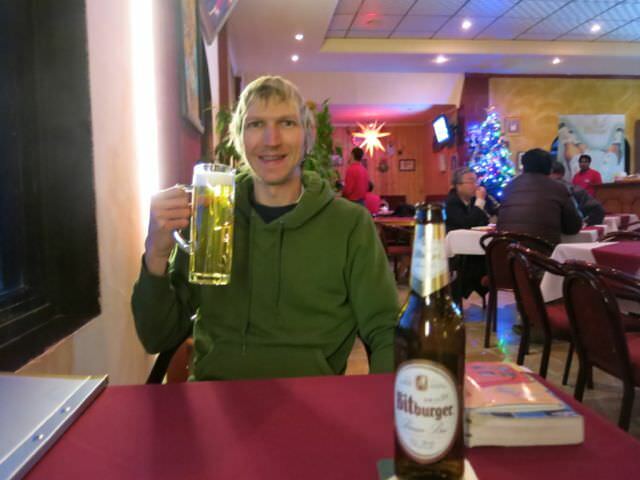 I stuck to drinking the off licence beer in our hotel room – the cheaper option! 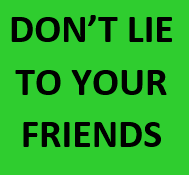 Most of the time I saved the money, bought some Murphy’s from the off licences and drank in the hotel rooms. The backpackers option rather than heading to the bars of Kurdistan. 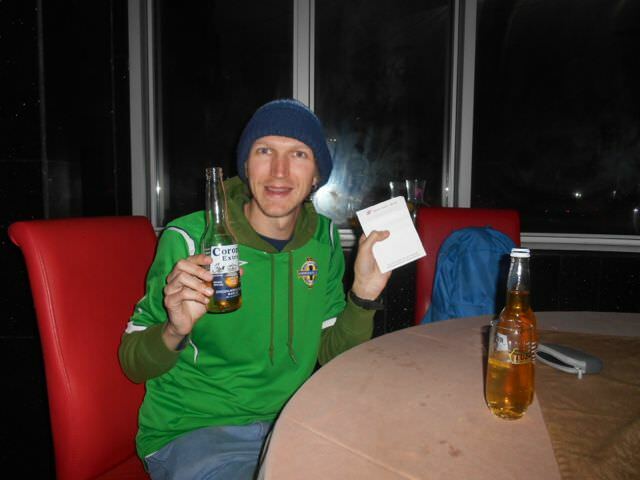 I’m glad I have a top 4 to share with you al though – I completely enjoyed my beers in Iraqi Kurdistan! There are a wide range of beers available in Kurdistan in Iraq, both in bars and in the many off-licences. I didn’t see any local beers in my time there, the nearest to Iraqi beer I tried was Efes (from Turkey) and Almaza (from Lebanon) – both in bottles. Cans of Jordan’s Petra Beer are also available. 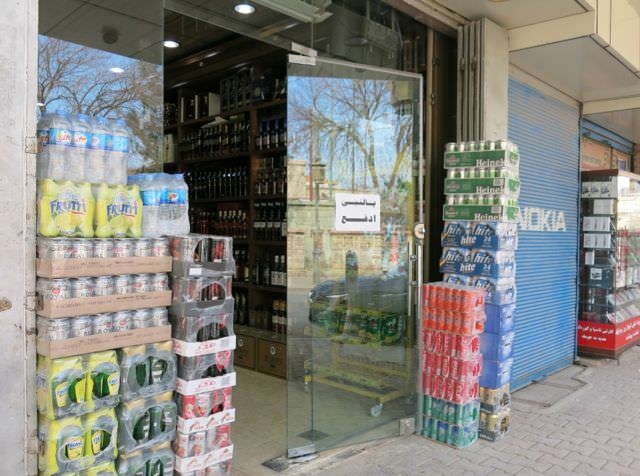 Off licences are well stocked with beer and are usually open until 11pm, especially in Sulaymaniyeh. Take away beers are well priced and I drank a lot more in the hotel room than I did in bars. 1,000 Iraqi Dinars is standard for a can or bottle from the off licence. 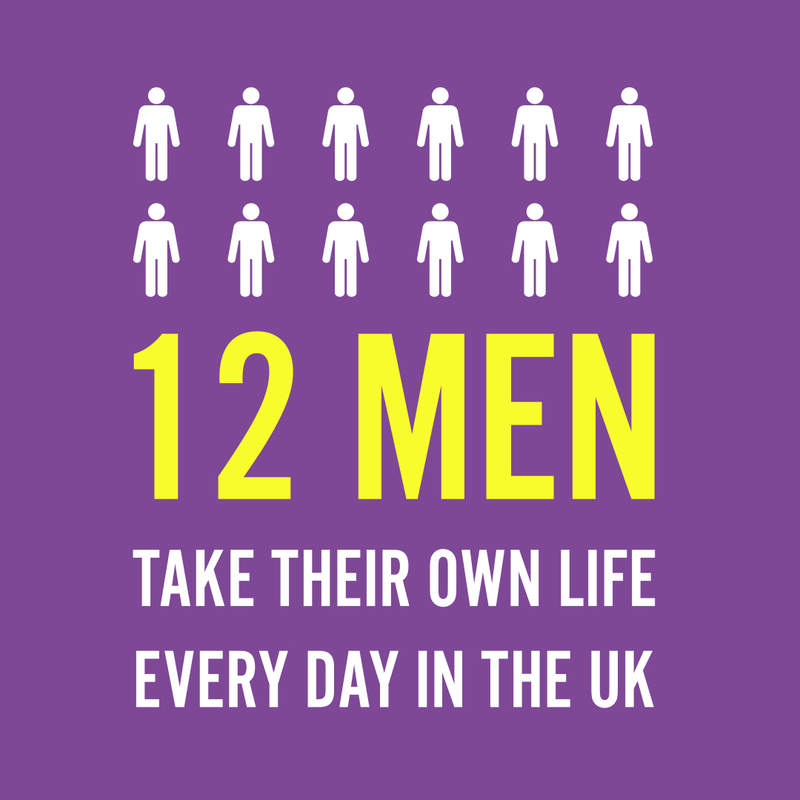 The off licences include such a wide range of global alcohol you won’t believe, from Bailey’s to Gentleman Jack. There’s not much you can’t get here to be honest. Alcohol in an off licence in Sulaymaniyeh, Kurdistan, Iraq. Videos are fantastic so far from Kurdistan Iraq and I’ll upload them soon. Happy drinking my friends and safe travels! 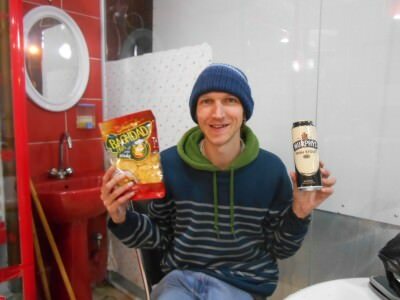 This entry was posted in Ainkawa, Beer, Central Asia/Middle East, Daily Features, Destinations, Dohuk, Duhok, Erbil, Iraq, Kurdistan, Lists, My Top 5s, Sulaymaniyah, Thirsty Thursdays. Bookmark the permalink. What a brilliant dynamic between historical and cultural Iraqi Kurdistan and what – as you have listed – are essentially are modern day ex-patriot bars! Absolutely love it! I particular love your report on the “secret” 8th floor bar and the Sports Bar Football. I am assuming your beer choices for these places are limited to the big brand name beers you can find all over the Western World (e.g. 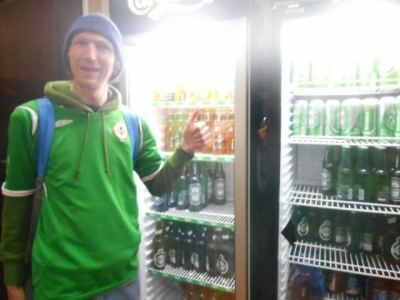 Corona, Heineken, Murphy’s, etc.)? Or have you noticed any regional beers in Kurdistan yet? I don’t mean Iraqi beers, as I am sure domestic Iraqi beers are non-existent at the moment. Rather, beers you found more of around the Middle East that you might not necessarily find so easily elsewhere in the world, like Turkish or Georgian beers? Thanks for the comment Ray – you make a number of good points here so perhaps I will edit the post slightly to include some finer details. Jonny, you know how much I love to eat when travelling. Kurdistan has some nice bars and restaurants to dine out on a budget, but I can’t wait to get there! Some dishes look really yummy. Unfortunately, I’m a non-drinker here :). What a great post. Whenever you mention Iraq you almost habitually think of a war torn region living in poverty. Well your article completely debunked that whole image! And beer in a Muslim country? What a culture shift! 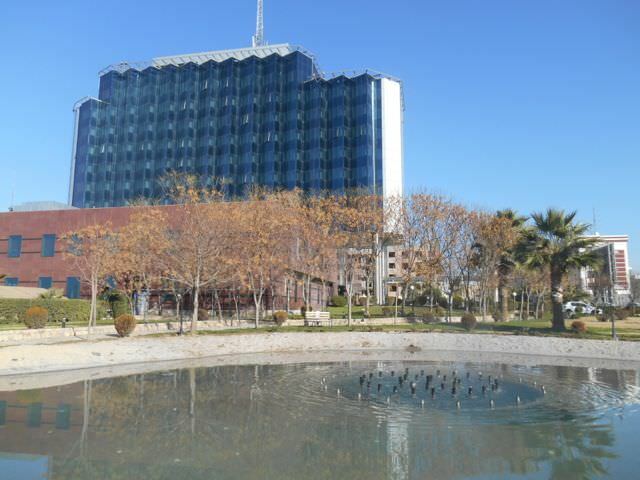 But the Erbil International Hotel looked like something you’d see on 5th Ave in NY. I am really surprised by your post. Thanks for such a great article opening my eyes to a side of Iraq I didn’t know existed! 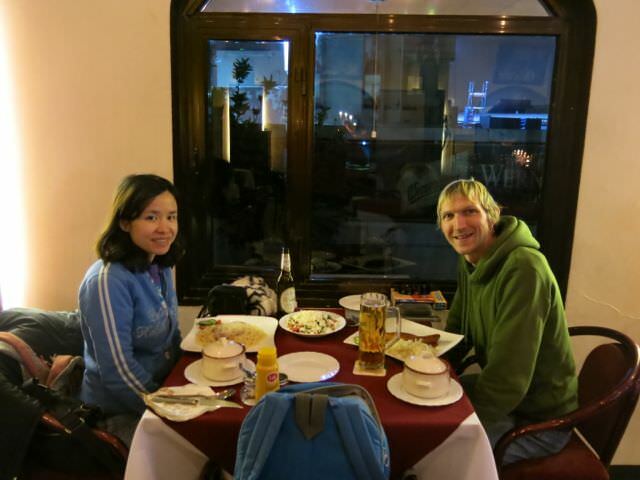 Good post, but too bad you missed T Bar , Skybar and the new RJ’s Irish pub in Ainkawa. 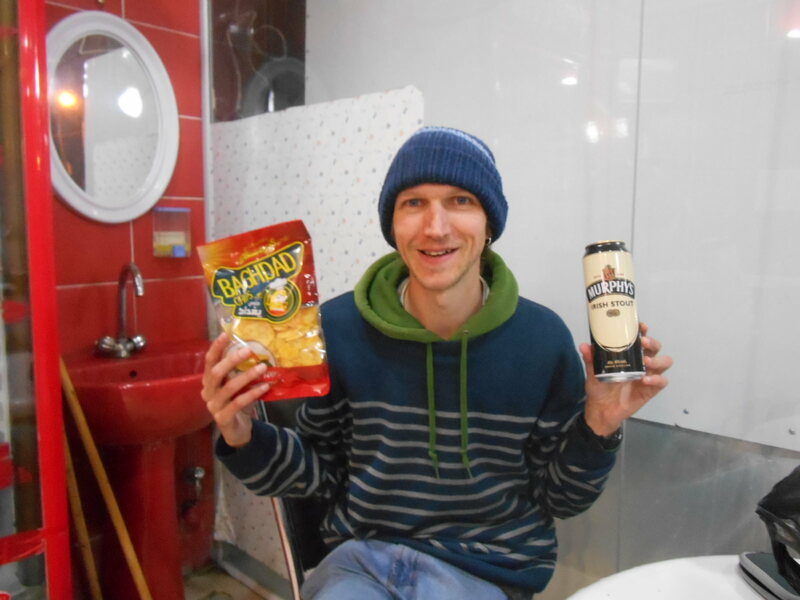 RJ’s not really that “Irish,” it is pretty much a bare room with none of the wood paneling you find in “Irish” pubs around the world,and no Guinness on tap, so there is still an opportunity. It seems to be more of a dance club. I am looking to do a short trip to Iraq Kurdistan later in the year, so found this site most interesting. I have sampled a fair few beers from various counties, so good to know that its not dry there. Cheers and Beers Dave P..